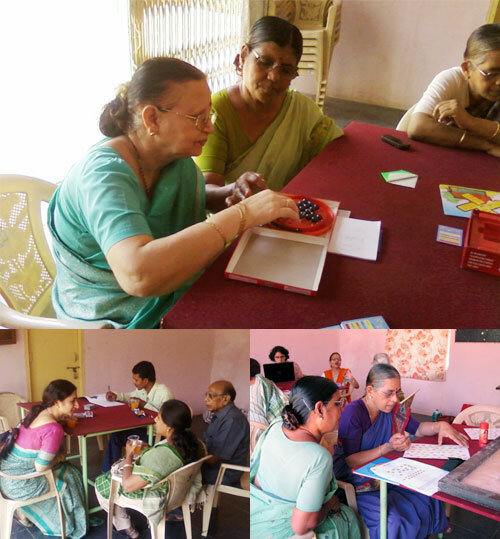 ARDSI Hyderabad Deccan, by starting an Activity Center for persons with dementia, has taken the first step towards its long-term goal of establishing a functional rehabilitation center. The Activity center for persons with dementia is a landmark, being the first of its kind in the city. It runs once in a week, on every Saturday, and offers respite care to patients with dementia for 3 hours. At present we offer recreational, educational & group activities for persons with dementia to retain and enhance their skills, increase their self-esteem and improve their quality of life. In addition to medical treatment, dementia care consists of functional rehabilitation based on appropriate interventions. We are working towards providing a comprehensive functional rehabilitation program, overseen by a multidisciplinary team comprising social workers, nurses, psychologists, and physiotherapists. ARDSI Hyderabad Deccan conducts lectures and seminars to raise the awareness of dementia at public forums such as senior citizens organziations, social clubs, corporates, colleges and schools. Brochures and pamphlets are distibuted at these awareness meetings. ARDSI Hyderabad Deccan partners with AASARA-GHMC for bi-monthly awareness sessions at Senior Citizens forums in Hyderabad. A "Theme based" meeting for family caregivers, volunteers and healthcare professionals is conducted on the second Saturday of every month at the Memory Clinic, NIMS. Covering various aspects of dementia care, these support group meetings are both informative and therapeutic, effectively extending the support network to family caregivers. ARDSI Hyderabad Deccan has published caregivers manual, "What is Dementia" brochures and various other materials in English and local languages. ARDSI Hyderabad Deccan conducts training programs for caregivers and healthcare professionals including induction training in dementia care and functional rehabilitation of persons with dementia. A Short-term training course is conducted for home attendants in practical aspects of dementia care, in collaboration with AASARA(GHMC), and the Pain Relief and Palliative Care Society, Hyderabad. As part of the person-centered care approach, trained volunteers conduct home-visits, which include patient and caregiver interviews, education of family members to the nature and progression of disease, suggestions of environmental modifications and functional interventions to improve the quality of life of the patient and family.